Noopept is among the most powerful racetam nootropics on the market. The nootropic is stronger and more effective than its direct competitors. If you are looking for a cognitive enhancing drug that works, the reviews at Smart Pill Guide can provide the information you need to identify the best quality supplements on the market. Noopept was developed by JSC LEKKO Pharmaceuticals, a Russia based company. In Russia and surrounding Eastern European countries, Noopept is a cognitive enhancing drug that is prescribed by doctors to increase cognitive functioning. The impressive benefits have resulted in a growth in popularity in many other countries, including the United States. The name of this supplement is an abbreviation of its active ingredient, N-phenyl acetyl-L-proly glycine ethyl ester. This brain enhancement supplement boost memory, reduces anxiety, and improves learning, memory, focus, and energy. Regular use of the supplement facilitates logical thinking and provides mood enhancing benefits. Does it work? To understand the efficacy of a supplement, pay attention to the dosage, ingredients & side effects. Often, nootropics are “stacked” with similar supplements to create a compounding effect on the brain. Noopept can be stacked with other racetam supplements, such as piracetam, aniracetam, and phenylpiracetam. 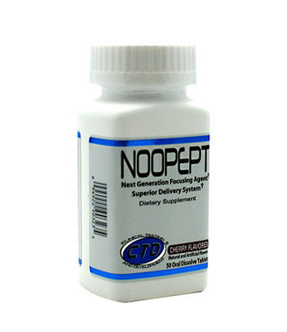 The fast action of Noopept gives this supplement a significant advantage over the competition. Many supplements take days to work to full effect, but Noopept contains ingredients that are quickly absorbed and able to cross the blood-brain barrier within 20 minutes. The supplement facilitates the movement of gluatamine, one of the most powerful neurotransmitters of the brain, from one brain cell to another to enhance cognitive abilities. Because Noopept is prescribed in many countries in the world it has been more extensively tested than many dietary supplements. Noopept has been shown in clinical studies to improve memory and cognition, and offer benefits for stress, anxiety, and regulating moods. A clinical trial showed that Noopept offered benefits to patients with emotional sensitivity after traumatic brain injury. Patient showed improvements in anxiety, energy, and mood within a week of taking Noopept. The initial dosage is 10 mg per day, separate into two or three dosage. Later, you can increase the dosage to 30 mg per day, but not exceed 40 mg in a day to avoid side effects. To take the supplement, break open a capsule and place it under your tongue. This method aids in the quick absorption. While there are no serious side effects associated with the supplement, new users may experience headache or irritability when they first start using the product. This is said to be due to the need for the brain to adjust to the effect of the neurotransmitters. Once you adjust to the supplement, these side effects will begin to fade. When looking for information about a supplement, a customer review or an independent unbiased review allows you to determine if the pill actually works. Compare the performance of top rated nootropic supplements in the unbiased reviews at Smart Pill Guide to find the right nootropic supplement for you.